Toshiba's 32CV711B seems tailor-made for what is shaping up to be a grim year of belt-tightening. This 32-inch LCD TV is available on the high street for under £400 and for considerably less online, yet it carries Active Vision video processing and a degree of multimedia flexibility, although there's no hi-def TV tuner. 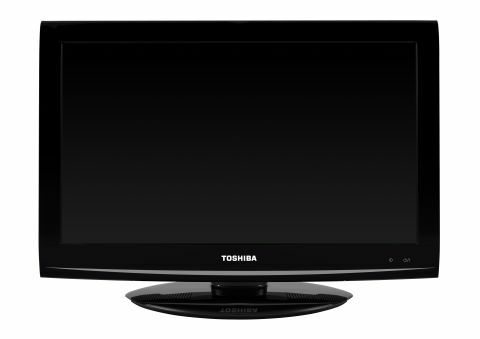 Of course, the 32CV711B isn't the only aggressively priced TV in Toshiba's range. In fact it's got a nearly bewildering set of entry-level models – some exclusive to particular retail chains – with only minor differences in spec. Particularly similar on paper are the AV713B series and the 32BV500, while stepping up to the 32BV700 adds a full HD resolution compared with the 32CV711B's 1,366 x 768 pixel count. The DV series add a built-in DVD player, meanwhile, and the LV series throws in an extra (third) HDMI. Stepping up even further to the RV series introduces a fourth HDMI, DLNA connectivity and a Freeview HD tuner. If you prefer edge LED backlighting to standard CCFL, then you'll need to make the leap up to the SL, VL and WL series, the latter of which introduces 3D on a Toshiba TV for the first time in the shape of the 40, 46 and 55-inch WL768 series.